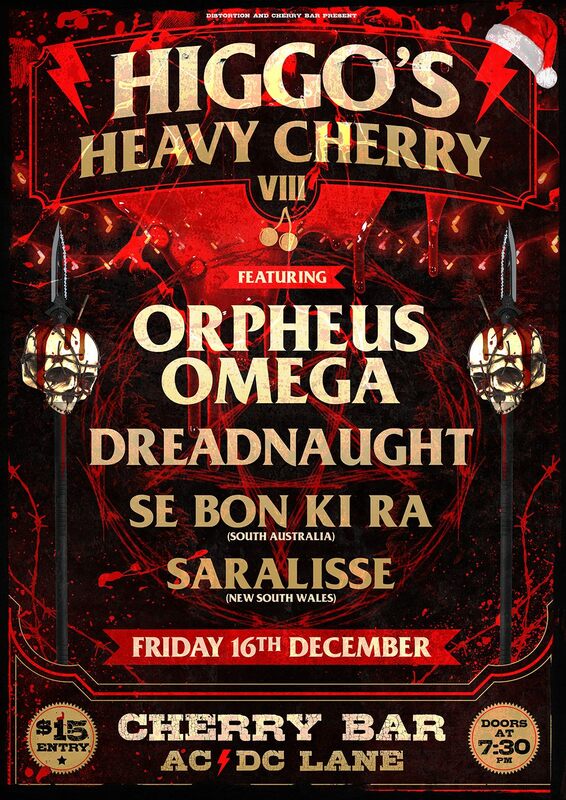 It’s a very metal Christmas Melbourne! Higgo’s Heavy Cherry VIII sneaks in just before the fat man cums down ya chimney! Really bloody stoked to have such brilliant bands performing at what will be a MONSTER party. Those that have been before, know how it rolls, and those that are yet to attend, get ready for a massive night/next morning. These nights are not for the faint-hearted Come fill ya Santa Sack with these champions! Doors are at 7:30, first band at 8:30, just $15 to see 4 brilliant bands slay the Cherry Bar stage. Cherry Bar, ACDC Lane Melbourne. 7:30pm Friday 16th Dec 2016. Only $15.